Morrow Boggs is an associate of Belk | Lucy, joining the team in 2016. He brings enthusiasm and a strong work ethic to each transaction. Morrow is very active canvasing, prospecting, cold-calling, and researching and is dedicated to identifying and delivering quality tenants for his Landlord clients. Additionally, Morrow enjoys working with local tenants and takes pride in being an integral part of helping them grow their businesses. Having been involved in negotiating dozens of transactions on behalf of both Landlord and tenant clients, Morrow is adept at navigating the Lowcountry’s unique commercial real estate market. 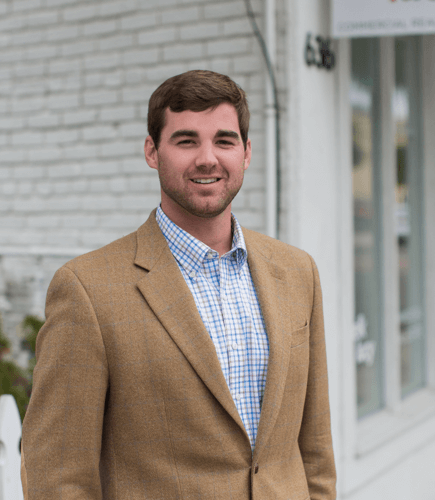 Originally from Charlotte, NC, Morrow is a graduate of the University of South Carolina and is licensed in both South Carolina and North Carolina.